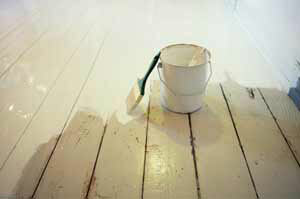 Great new projects on painting wooden floors and painting wooden stairs have now been added to the website. They give step by step instruction and advice on each project so that you can get the best finish. Many people are choosing to update a room by painting the floor as it gives such a clean and bright feel and changes the feel completely, and you can alter the style of stairs by giving it facelift. Choose muted tones of white, off-white or pale grey or go for something complely different and choose a bold bright colour! Most importanly is your choice of paint – make sure you choose a paint designed specifically for floors as it has to withstand an awful lot of wear and tear. Both projects will talk you through the preparation needed and the tools needed for the job. It is worth spending time on the prep or you will find the paint will not adhere to the surface. 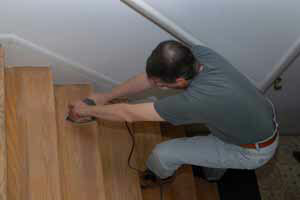 Some planning before starting will be necessary as if you are painting a floor, it is best to have cleared the area completely for the duration of the task, and if it is a staircase, you really need to avoid using the stairs as much as possible to avoid dust and grease and to allow a decent amount of drying time. Having said all that, it is a hugely satisfying DIY project to do and if you have any photos of a floor or staircase you have painted in your home, send them in to us or post them here on the blog!